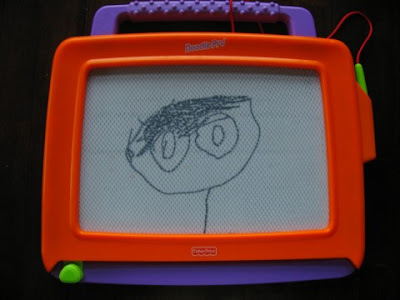 Jak has always loved to draw. In just a few short months Jak has gone from drawing squiggly lines and scribbles to drawing cars and people. 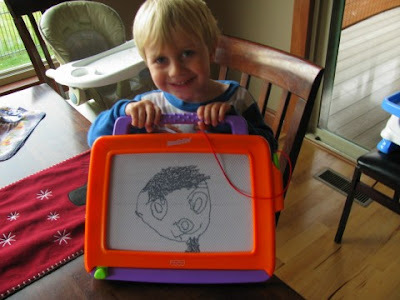 I was amazed when he brought his magna doodle to me and said "mommy, look! I drew Jak!!" 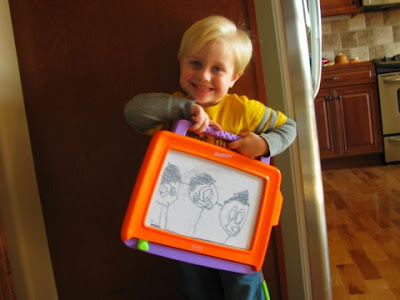 I might be a little biased...but I think his drawings are pretty good for a 3 year old! This is supposed to be Mommy, Daddy, and Jak... LOL! I am so impressed, Jak!